Be sure to visit SWF for some awesome skies from around the world! This week at ABC Wednesday, K is the letter of the week. It was an easy choice this week, as Helen Keller is one of my heroes. For all that she had to endure, her wisdom shines through. For more information on this remarkable lady, visit here. 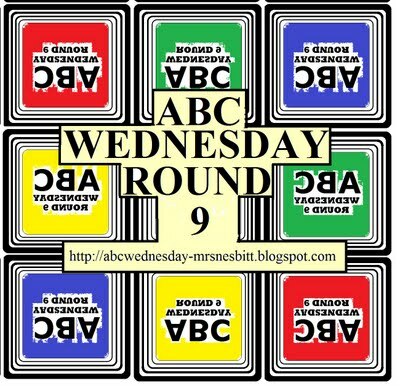 Be sure to stop by ABC Wednesday and check out how others have shown K.
It has been almost a week since I last blogged. This week has been a roller coaster of emotions and events. School problems, renovations that are taking forever, family issues and now illness have had me pulling back from time on the computer. I have not participated in several memes I usually so enjoy. It is a strange place to be in. This week I also heard about the death of my former hairdresser from lung cancer at age 61 and the diagnosis of a close friend's sister of lung cancer (she is 61). I turn 60 in less than 4 months and am having a wee bit of a challenge with that. Then tonight I listened to Steve Jobs give a commencement speech at Stanford back in 2005. What an inspiring speech. His advice was to find what you love and pursue it; to stay thirsty; to connect the dots. Postponing dreams, not wasting time, doing what I love - great advice - coming from 2 very different sources. I do believe in prayer - it has certainly helped this week. I am seeking yours in helping me lift this dark veil that seems to be closing in. I want to be positive, to be seeking new dreams. I don't like the space I am in right now. I definitely needed Steve's words and the lines of the poem. Today is that time of the week to share shadows. I decided to share more from our trip to the Lake George area in August. The weather has turned a wee bit colder and cloudier. Fall is just around the corner. Be sure to check out the wonderful shadows from around the world at Hey Harriet! 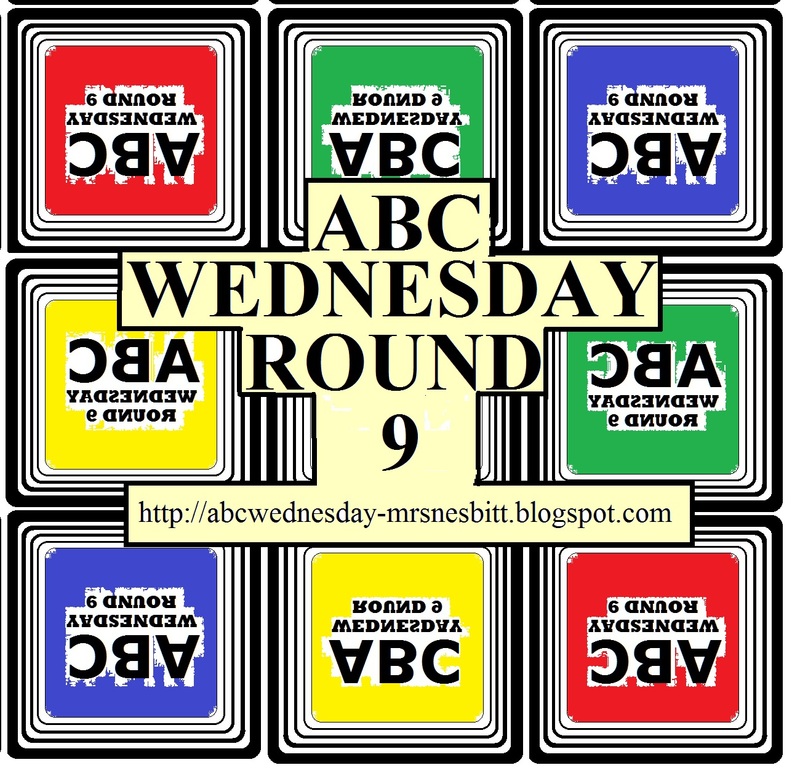 - that super fun, addictive meme hosted by Tracy. 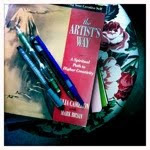 Time for Our check-in for this chapter - Paula has been hosting this book club and I am finally making headway! I enjoyed the tasks in this chapter. The virtue-trap quiz was a real eye-opener. I found issues of guilt, fear and self-esteem still percolate below the surface. The lists were a good exercise as well. I do have many wishes and desires and need to work toward these.The morning papers are still not done consistently - more as I need them. They do help get rid of the negativity though. - Fluffy, our 19 year old cat. We have a new name for her - our Walmart greeter! and creating my art cards. I am also enjoying teaching art at school. I love helping children bring out their creativity. I must apologize for not visiting blogs and leaving comments. It has been a hectic return to school and there is just not enough time in the day anymore. I will get back into a better routine soon I hope! Thanks so much to all those people who do leave such lovely comments - I really do appreciate them! A perfect day today to wander around St. Jacob's Market. We bought corn and had fun just looking and watching. The only thing missing was my camera. Gorgeous weather and perfect for shadows! This is the horse statue in front of the Museum of Racing in Saratoga Springs. hard to believe - it is made of driftwood! The last photos are from the flood at our school yesterday! A pipe burst in the girl's washroom upstairs during afternoon recess and no one knew where the shutoff valve was (the regular custodian was absent). There was water cascading down the stairs into the front hall. By the time the fire dept. and the board office sent someone to turn off the water, we had evacuated the school. It could have been a lot worse (as maintenance said), but there was still some damage. What an exciting way to end the first week back at school! We were outside with over 300 kids for over an hour and a half! We were allowed in to get kids ready for home time and send them on their way. Be sure to stop by Hey Harriet for more wonderful shadows! I am late joining in ABC Wednesday. School started this week and I have been very busy. This week the focus is H and what better person for H than Rick Hansen. He is one of my heroes. This year is the 25th Anniversary of the Man in Motion World Tour, when Rick wheeled around the world in his wheelchair. He has begun a new trip across Canada with 7,000 "difference makers", in an Anniversary relay that began in Newfoundland this past Aug. 24. Check out his website for lots of information on the relay, and on spinal cord research. "His philosophy is evident in everything he says: Dwell not on what you don’t have, or can’t have; focus on what you have and are able to do. The attitude “wasn’t a bolt of lightening.” It came slowly with the help of mentors, friends, family members and quiet contemplation in what he calls The Rick Hansen School of Life. “Usually the biggest demon is not out there,” he says, gesturing to the world outside his window. “It’s what is inside your head. That was one of the most profound lessons I’ve learned in my life. I would never give that up for the use of my legs,” he says without drama. " "The goal you set must be challenging. At the same time, it should be realistic and attainable, not impossible to reach. It should be challenging enough to make you stretch, but not so far that you break." "There is nothing you can’t do, if you set your mind to it. Anything is possible." 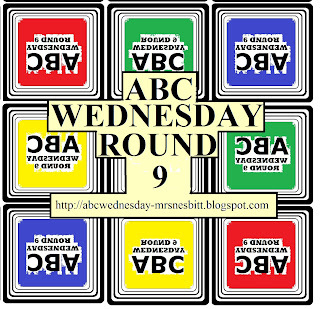 Be sure to visit ABC Wednesday for how others have interpreted H.
Be sure to check out all the different shadows at Hey Harriet - that super-fun, addictive meme, created by Tracy.